Light tipper semitrailer designed for efficient transportation of construction materials such as sand, gravel, crushed stone. 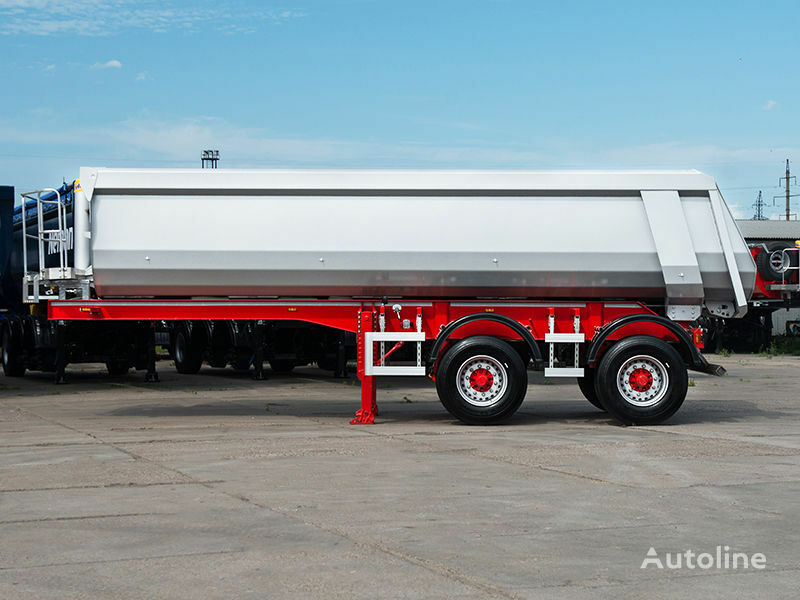 Two axles with a carrying capacity of 10,000 kg each on air suspension. Basis - BPW Heavy Duty with drum brakes. Option - SAF with disk brakes. Michelin X MULTI T — 4 tires. The quality of the painting of the Grunwald semitrailers meets the requirements of the ISO standard for severe climatic conditions. Painting is made by modern technologies with paint and varnish materials on epoxy and polyurethane basis. All hinged components - axles, pneumatic system, electrician, support devices and fittings are purchased directly from leading European manufacturers. Pārdevējs uz Autoline vairāk kā 4 gadus. Jauns GRUNWALD - 9453-0000010-50 V-31 31 kub.m. v nalichii!! !